The Haida Nation and the Tlingit Nation have existed as two separate and distinct people since time immemorial. This great land (Aani) known as Southeast Alaska is the ancestral home of the Tlingit and Haida people. Legend has it that in ancient times a portion of the Haida Nation came to this land from Haida Gwaii (Queen Charlotte Islands in British Columbia), the true ancestral home of the Haida people. The Haida legend of "The Raven and the First People" expresses how Raven discovered mankind and is responsible for the present order of our universe. Likewise, the Tlingit legend of "Raven and the Creation Story" tells us how the Raven created the world. 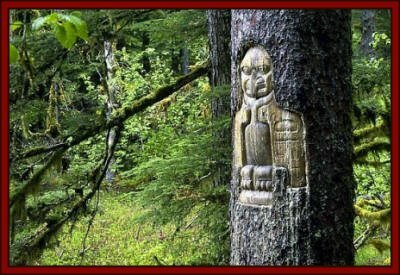 Tree carved by native Tlingit indians, Bartlett Cove. Glacier Bay National Park, Alaska, USA. 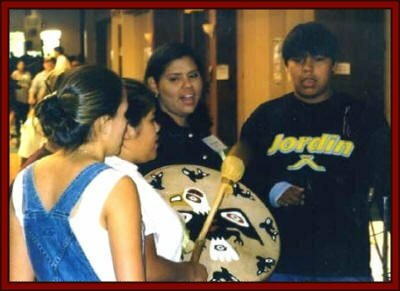 Tlingit people and Haida people are born into their identity through a matrilineal clan system: One's identity is established through the mother's clan. All Haida and Tlingit clans are organized into two major moieties: Eagle and Raven. In Tlingit, Yeil is Raven and Ch'aak is Eagle (Wolf is sometimes used interchangeably with Eagle). Each clan is made up of clan houses. The Haida people and Tlingit people have always lived on these sacred and wondrous lands and waters of Southeast Alaska as the original occupants and guardians. The Creator has blessed our people with these lands and waters for their use as mariners, fishermen, hunters, gatherers, and traders. Our people take great pride in our ability to cultivate and harvest the resources of the land and sea in a responsible manner. We recognize the value of and retain reverence and respect for all life of the land and sea that we harvest to give us strength and sustenance. Haida and Tlingit values do not permit waste; we use every bit of the salmon, herring, hooligan, deer, seal, crab, clams, gumboots, mussels, seaweed, berries, and all that the land and water provide. the 56th Annual NCAI session. Our history shows that prior to contact this land that is occupied by Tlingit and Haida people remained in balance, maintained that way by our good stewardship, hard work, wise laws, and respect. We have always understood that the land not only gives sustenance and health, but also provides materials for our traditional use. The tall cedar trees were used in an honorable way for clan houses, totems, canoes, ceremonial and dance regalia, baskets, and utensils. We follow the ancient laws of our people that are the foundation of our tribal sovereignty. 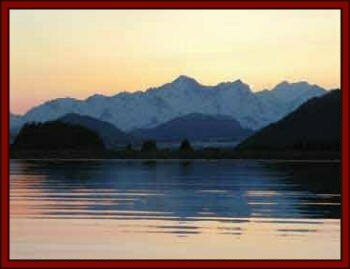 Since time immemorial, our inherent sovereignty pervades within our traditional villages and communities enhanced by our spiritual relationship to all the land and waters of Southeast Alaska. Our traditional ceremonies validate our identity and culture. We have specific protocols, including potlatches, in celebrating a birth, a marriage, giving a name, sharing of wealth, raising totems, commemorating special events and honoring a leader or the departed. The waters remain our highways, and from the beginning of time we utilized canoes carved from the majestic cedar. These masterpieces of efficiency and ingenuity were sold and/or traded to others outside the Tribes. Our people have always carried on extensive trade and social relations throughout our territory, as well as with people as far away as Mexico and Hawaii. Our commerce includes a monetary system, as well as a bartering system, for the exchange of goods and services. Bartlett Cove on a stunningly clear and quiet day. Although most of my pictures show near "10" weather, we do have a lot of rain (it is a temperate rainforest). My camera doesn't come out when it is raining! Our people have made a transition to a written, formal process to engage in foreign government relationships in order to address issues impacting us. Foreigners continue to attack our rights to self-government as sovereign nations, while continuing the decimation of the Tlingit and Haida population, our traditional homeland, and our access to natural resources. The Tlingit nation and the Haida nation united with foresight, courage, and determination to fight for our rights and preserve our relationship with the land, water, and resources. As a result of those who fought the battle, the Central Council of Tlingit and Haida Indian Tribes of Alaska was formed to serve the interests of the Tlingit and Haida people for generations to come. Same view from Fern Harbor at sunset. 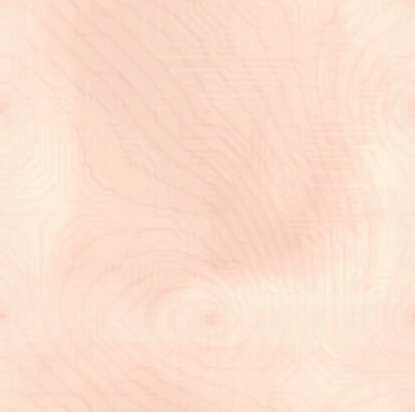 We, the Tlingits and Haidas, enrolled citizens of the Central Council of Tlingit and Haida Indian Tribes of Alaska, affirm our inherent sovereignty, which will never be alienated. We perpetuate and preserve our traditions to ensure that future generations inherit their rightful heritage as Tlingit and Haida people. The practiced customs and traditions of our people must be passed on from one generation to the next with pride and dignity. Our rich cultural history and practices will be passed on to future generations through our traditional dances and ceremonies. Our sacred and vibrant traditions survive, growing stronger and richer each year. The Tlingit (or Kolosh) are an American Indian people living on the southeastern coast and islands of Alaska. Their language belongs to the Na-Dene phylum, on a level coordinate with Athapascan-Eyak (Voegelin and Voegelin 1977: 243). 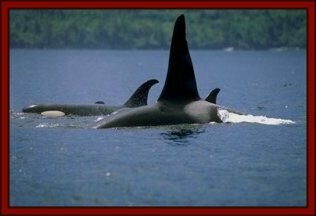 Their territory extends from the mouth of the Portland Canal in the south to Chilkat on Controller Bay in the north. They are of the Northwest Coast culture type and are most closely related to the Haida and Tsimshian. There are several inland groups of Tlingit-speakers in northern British Columbia. These people are regarded as gunana (foreigners) by the coastal Tlingit, and culturally resemble the interior Athabaskan tribes more closely than they do the coastal Tlingit. The Alaskan coast is quite mountainous, and the climate is humid and temperate. There is abundant sea and forest animal life in the area. The Tlingit, like other Northwest Coast peoples, were able to support a relatively complex social and cultural life on the basis of a nonagricultural, fishing, hunting, and gathering economy. After the 1836 smallpox epidemic, the total Tlingit population was estimated to be around 6,000. Krause gives the total 1880 census as 6,763. The smallest subgroup was that of the Tongas, with a population of 173, whereas the Stikine numbered about 1,000 (Krause 1956: 66-74). De Laguna states that in the last 50 or 60 years the population has tended to concentrate in the villages. The reasons for this concentration are the change from a subsistence economy to one based on wage labor, and the availability of trading posts in larger communities (De Laguna 1953: 55; De Laguna 1960: 205-206). Many explorers in search of the Northwest Passage visited the area of the Tlingit and foreign interest in the area intensified with the booming fur trade. Russian traders and trappers established themselves in about 1775 and remained throughout the next century. In 1867, Alaska was ceded by Russia to the United States. Since the Russians had adapted themselves to the Indians, there were never any serious conflicts. The Americans, however, were primarily interested in developing the area economically, and the Indians were generally treated with disdain. and there is often some confusion regarding such matters as inheritance and territorial rights. Since the Tlingit lived on the coast, their subsistence was derived mainly from the sea. Seals and fish such as halibut, salmon, and herring were caught with hooks, basketry traps, and spears. Hunting supplemented fishing, but hunting was done primarily for furs. Bears were rarely killed, since they were thought to be closely related to human beings. The Tlingit were sedentary most of the year, but during the summer they led a semi-nomadic life. It was also during the summer that most of the subsistence activity was carried on, and the people left the villages for camps in their hunting and fishing territories. The winter was devoted to household activities, such as weaving. Winter was also the ceremonial season. 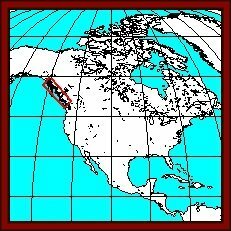 The Tlingit were divided into from 11 to 16 geographical groupings called quan. Henshaw & Swanton (1910: 765) list the Auk, Chilkat, Henya, Huna, Hutsnuwu, Kake, Kuiu, Sanyakoan, Sitka, Strikine, Sumdum, Tagish, Taku, Tongas, and Yakutat. According to Emmons, these groupings were purely "accidental;" there was little internal cohesion and no formal tribal authority (Emmons 1916: 10). Each quan was made up of one or more villages. Krause's census figures for 1880 list a population range for Yakutat villages of from 150 to 500 (Krause 1956: 66). These villages were usually built around inlets or bays, and houses were built in rows, fairly close together. Aboriginally, the Tlingit were apparently divided into three phratries, Yehl (Raven), Goch (Wolf), and Nehadi (Eagle). The Nehadi were very few in number and have been disregarded by most researchers. Consequently, the literature refers frequently to the "moieties" of Raven and Wolf. "In each of these phratries there were, until recently, over twenty clans, most of which had local divisions in two or more villages. Each local clan division is made up of a number of house groups in each of which dwells a number of primary families. Descent and inheritance is reckoned through women" ((Oberg 1937: 43). Oberg goes on to say that these villages had very little unity. The clans and family groups were ranked according to the wealth and morality of their members and the glory of their ancestors. The oldest man in a family group was the head of that family, and the highest ranking family head was the head of the clan. Since there was no village headman, the clan heads served as arbiters of disputes. Although the clans were common throughout all of the Tlingit area, it was the local clan groups that were of greatest importance in settling disputes, ceremonialism, and ownership of fishing and hunting territories. The phratries and clans were totemic, and the crests were represented on houses, ceremonial clothing and paraphernalia, and totem poles. The Tlingit, along with other Northwest Coast people, are known for their elaborate ceremonialism, primarily the potlatch. Although Swanton (1904) says that respect for the dead was the only motive for giving a potlatch, other authors state there were other occasions which might call for a performance. According to strict custom, the potlatch lasted for four days and consisted of a feast, dances, songs, theatrical performances, and the presentation of ceremonial gifts. Culture summary by Marlene M. Martin De Laguna, Frederica. Some problems in the relationship between Tlingit archaeology and ethnology. In Marian W. Smith, comp. Asia and North America: Transpacific Contacts. Salt Lake City, Society for American Archaeology, 1953: 53-57. 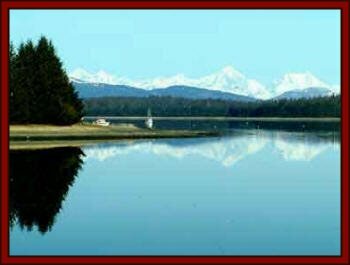 The story of a Tlingit community: a problem in the relationship between archaeological, ethnological, and historical methods. Washington, D.C., Smithsonian Institution, 1960. 10, 254 p. illus. The Whale House of the Chilkat. New York, American Museum of Natural History, 1916. By Henry W. Henshaw and John R. Swanton. U. S. Bureau of American Ethnology, Bulletin 30, pt. 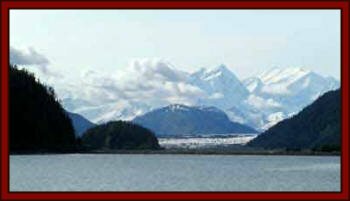 The Tlingit Indians: results of a trip to the Northwest Coast of America and the Bering Straits.Translated by Erna Gunther. Seattle, University of Washington Press for the American Ethnological Society, 1956. 15, 310 p. illus. Oberg, Kalervo. The social economy of the Tlingit Indians. 3, 170 l. illus. Dissertation (Anthropology) -- Chicago, University of Chicago, 1937. Social condition, beliefs, and linguistic relationship of the Tlingit Indians. U. S. Bureau of American Ethnology, Annual Report, 26 (1904-1905): 391-486. Voegelin, C. F. and F. M. Voegelin. Classification and index of the world's languages.